Financial analyst and NGO president Fadi Mikati returns from the World Economic Forum in Davos with new experiences and renewed motivation. 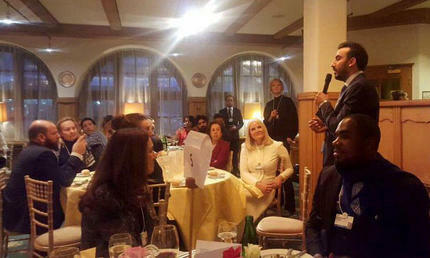 Informal dinner discussion session in Davos about generational change gathers crown princess of Norway, President & CEO of PepsiCo Inc., and Huthan Olayan, President & CEO of Olayan America. Mikati with participants in one of TEC’s numerous workshops. At the 2016 TEC Startup Seeds Pitching Festival. Alumnus Fadi Mikati has returned from the World Economic Forum in Davos with fresh insights that will reinforce his work as head of a Tripoli-based organization dedicated to promoting and strengthening entrepreneurship. 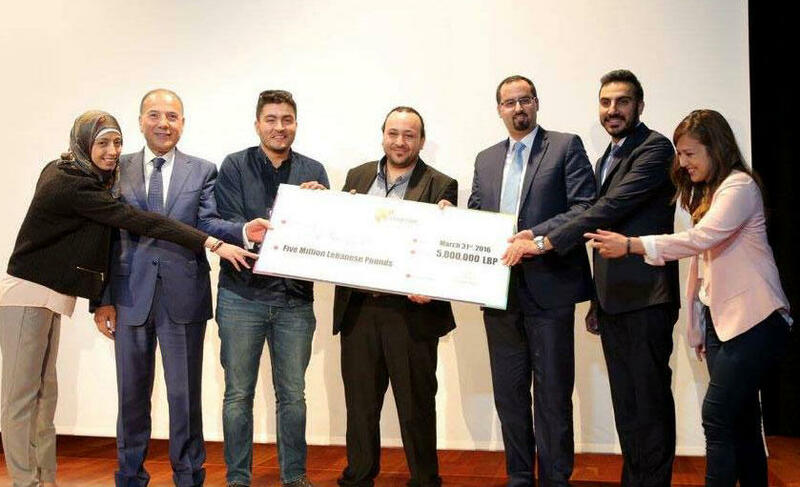 “Learning about how other youth training programs around the world work and overcome challenges was insightful,” said the President of the Tripoli Entrepreneurs Club (TEC), a grassroots non-profit organization he cofounded with LAU alumna Najwa Sahmarani and others in 2013. “It was also nice to talk about our achievements and see peers appreciate our initiatives,” added Mikati, referring to a talk he was invited to give in Davos as a member of the World Economic Forum’s Global Shapers Community. Among his audience were globally prominent CEOs, politicians and royalty to whom he highlighted key TEC initiatives including a pre-accelerator boot camp, a mentoring program and a pitching festival, all designed to prepare youths from northern Lebanon for entrepreneurship. Mikati’s job at Kafalat, a financial firm he joined upon graduating from LAU’s M.B.A. program in 2009, gives him insight into the needs of the TEC community. 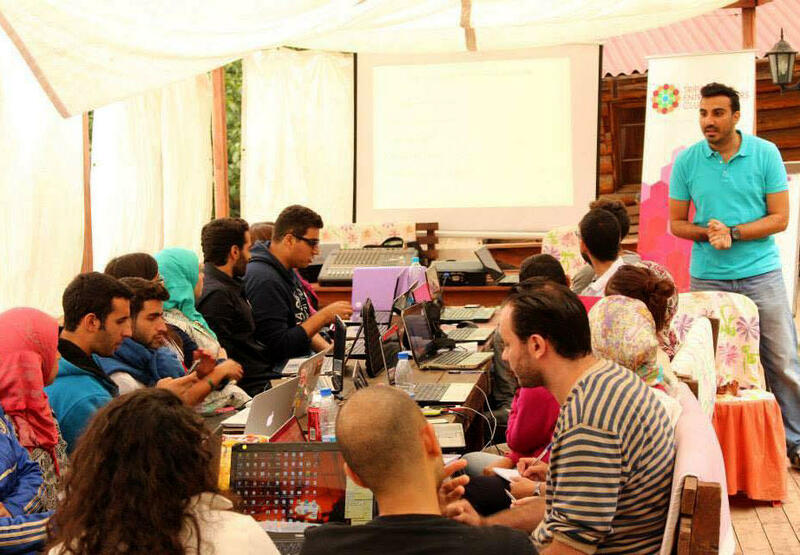 Each of the organization’s volunteers possesses a skill, specialism or knowledge, shared by and benefiting a community that aims to increase entrepreneurship and raise the employability of youths in the north. “We have a core team of six people and a membership base of 150 people, including start-up entrepreneurs, mentors, professional freelancers, wantrepreneurs and intrapreneurs,” said Mikati enthusiastically, adding that within five years he hopes to see the membership swell to 1,000. “We’re focusing on what we have and what we need, so we’re targeting youths who aren’t catered for by the Beirut-based incubators or 331,” he added, referring to the Banque du Liban Circular 331 that supports tech start-ups. “We can focus on existing sectors, such as furniture building, and modernize and build upon them by focusing on skill gaps and nurturing graduates and students to offer them an alternative to full-time employment or emigration,” explained Mikati, noting that TEC was willing and able to support affiliated student clubs at universities and invites students of his alma mater to do so.